4 pages in the card consisting of white card stock, acetate sheet, all of differing size to fit within the main card. Each card & acetate are folded in half and inserted into the main card. Main card is scored at the front side near the fold to allow the card to open up easily. 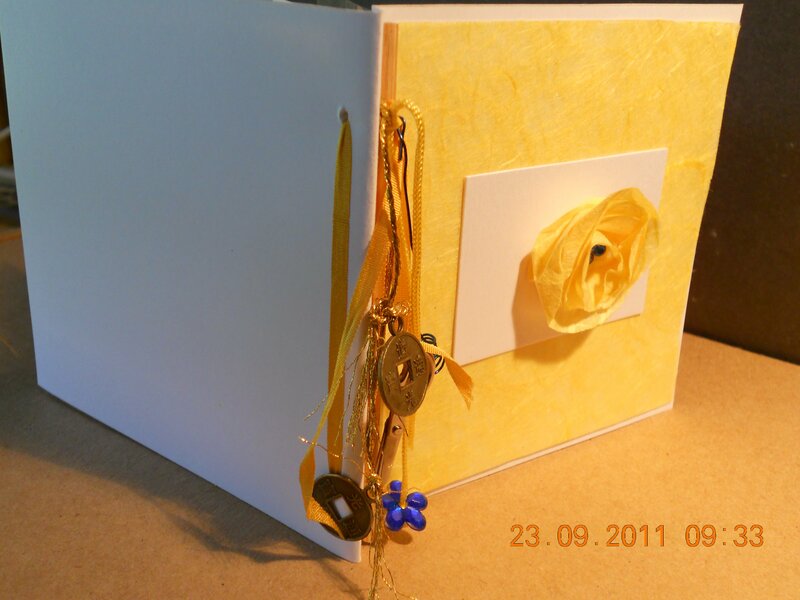 Punch 2 small holes between the fold and score lines so as to thread a ribbon thru all the sheets to hold in place. 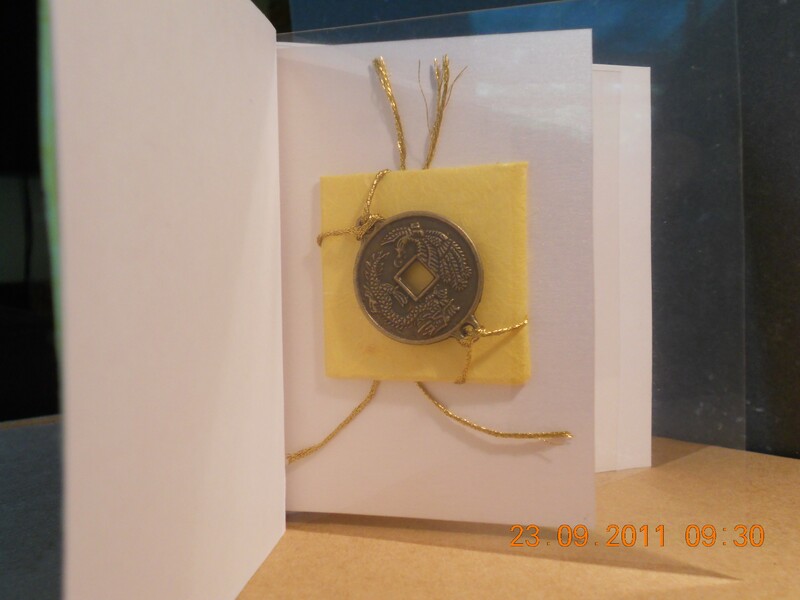 Place the bamboo skewer on the front card between the holes and tie the ribbon around the skewer. Tie more ribbons to the skewer and add embellishments to the ends of the ribbons. Yellow flower is made from tissue paper. Cut a 10cm circle and then cut out a 1.5cm swirl from the circle until you are left with a 1cm circle in the middle. Curl the swirl around until a flower is created and glue the bottom of the flower to the small circle. 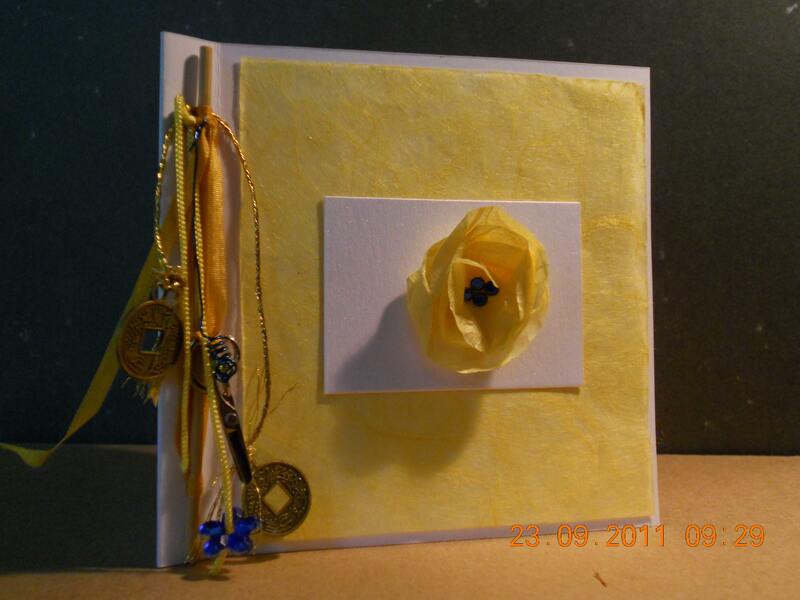 Attach the flower to the card. Glue tiny rhinestones to the middle of the flower. Flatten the flower gently.